The new signature headlights on the new VNL and VNR signal innovation in form and function with superior engineering, peerless technology and an unmistakable look. Inspired by the headlamps previously exclusive to Volvo Trucks’ European models, the achievement represents a collaborative design and engineering effort that was four years in the making. 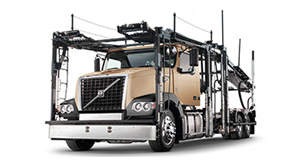 It is the first comprehensive, all-LED headlamp redesign ever undertaken by Volvo Trucks. The (European) headlamps were produced by an engineering team that supplies some of the world’s best-known luxury automobile companies. Our challenge was to translate that level of innovation into the ultimate headlight worthy of our North American brand. As a focal point of the Volvo Trucks design aesthetic and brand DNA, the headlight had to meet extremely rigorous standards of fit, finish, visual impact and performance. 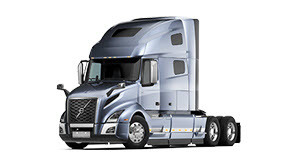 From concept sketches and CAD models to 3-D prototypes and digital simulations, obsessive attention to detail and technical specifications was required to not only create the most advanced headlamp in the trucking industry, but one that is instantly recognizable as the signature look of Volvo Trucks. 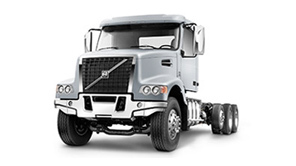 The differences in design structure of Volvo Trucks North America and the European models called for a fully redesigned headlight. 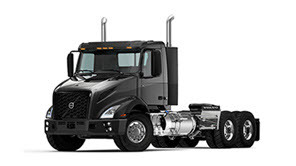 The American profile is longer, engine forward and flanked by sleek, sweeping fenders where the headlamps are housed. 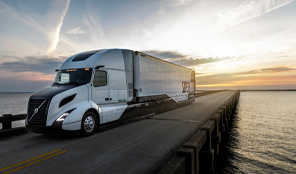 In the new design, Volvo Trucks’ familiar Daytime Running Light (DRL) frames each headlamp in a sharp-angled, illuminated “flying V” that announces the marque at a thousand yards. The U.S. team built on the work of the European design to provide an improved light consistency and even glow. Projection, amps and candlepower specs were precisely engineered and tested to deliver maximum illumination while eliminating down-road or peripheral spillover. Visually striking, the LED lighting package runs at a cool, frosty color in the blue spectrum rather than the warmer, yellow colors of incandescent bulbs. The visual expression is modern and sleek, much like the recessed bezel border around the headlight assembly. This feature, while appearing to be purely aesthetic, is the outer facet of an internal function developed by Volvo engineers to enable the lamps and lenses to automatically control temperatures and condensation. 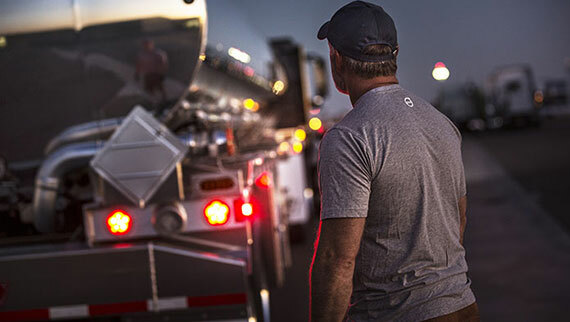 It is the most technically sophisticated headlight in the trucking industry. 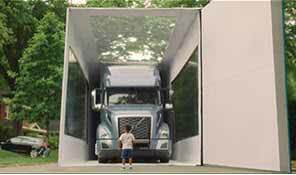 As a signature feature distinguishing the unrivaled design of the Volvo’s VNL Series, it signals good things for the road ahead. Simplicity THROUGH design is a core value. The best-in-class layout of the of the new VNL interior cabin may be just what is needed to attract new drivers to a career on the road. 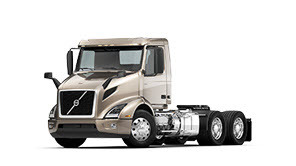 Volvo’s John Moore answers questions about the D13TC engine’s design, fuel efficiency and ROI.